Rib injuries include broken and bruised ribs. You usually injure your ribs due to a force on your chest. 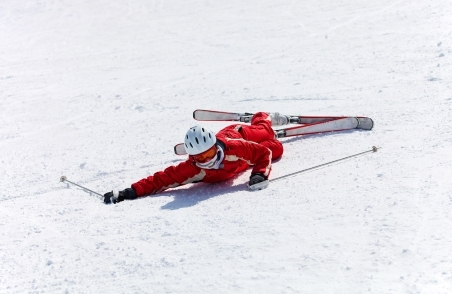 This can be from an incident such as a fall, sports injury or car accident. You can occasionally injure your ribs with severe, repeated coughing. Doctors often don't need to do any tests to diagnose injured ribs. The treatment for bruised and broken ribs is the same, so it isn't usually necessary to get an X-ray to tell them apart. The only reason to have an X-ray is to look for a lung injury such as a collapsed lung that a broken rib might have caused. An ultrasound scan can also look for a lung injury. If your doctor doesn't suspect a lung injury, you won't need an X-ray or ultrasound. The treatment depends on how bad your injury is. The worst injuries are where you've broken many ribs and the broken ribs have damaged organs such as your lungs, liver or spleen. In this case, you'll need to go to hospital for specialist treatment. Often rib injuries are relatively minor, although painful. These injuries will heal on their own without any specific treatment. This usually takes about six weeks. Rib injuries are painful and can cause your breathing to be shallower than normal. They can also make it difficult for you to cough. This increases your chance of getting pneumonia (chest infection). take regular pain relief so you can take deep breaths and cough easily. For painful rib injuries you can take paracetamol plus ibuprofen. Take two paracetamol every four to six hours but no more than eight in any 24-hour period. Take two 200 mg ibuprofen tablets three times a day. It's normal to still feel some discomfort even with regular pain relief. See your GP if you're taking paracetamol and ibuprofen but your pain is still severe. As your ribs heal, you can reduce the amount of pain relief. You might find it helpful to hold a cushion or pillow against your injured side when trying to cough or take deep breaths. This stops your broken ribs moving and causing pain. Your GP can give you a prescription so you have enough pain relief. If your pain is getting worse, you're having trouble breathing, you're coughing more, or you have a fever, you should go to see your GP. These are signs that you could be developing a chest infection. Information about rib injuries, including how they're diagnosed, their treatment, and possible complications. MedlinePlus – Rib fracture - aftercare, retrieved November 2016. NHS – Broken or bruised ribs, retrieved November 2016. Patient – Care of rib injuries, retrieved November 2016.